One of the first things some people do when they want to change up their hairstyle is reach for shiny hair extensions. 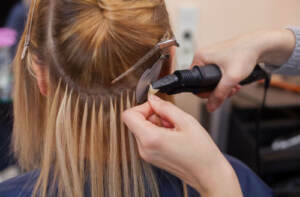 While it’s true that hair extensions can quickly transform a hairstyle, it’s also completely understandable when people have questions about them. We’ve done our best to answer some of the most common questions about shiny hair extensions so you can decide whether or not they are right for you. Will Hair Extensions Harm My Hair? Hair extensions alone will not typically damage your natural hair. However, you have to know how to care for hair extensions and maintain your quality hair care routine. The things to look out for are extensions that are too heavy, too tight or create too much tension on the hair. These signs can’t be ignored, since you could be damaging your natural hair. When in doubt, visit a hairstylist to help you. What’s The Best Way To Wash Hair Extensions? Washing hair extensions with a great sulfate free shampoo, as you would with your natural hair, is ideal. If you use clip-in extensions, you can remove them and wash them gently in a sink full of cool water. For permanent hair extensions, wash your hair as you normally would and be as gentle as possible. Hair extensions are meant to last a long time, and proper washing techniques will maximize their lifespan. Will Hair Extensions Make My Hair Grow Faster? Hair extensions can indirectly make your hair grow faster to an extent. 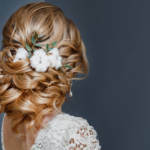 The reason is because people typically don’t apply as much heat or try to manipulate the hair as much when shiny hair extensions are installed. The results would be the same even if you didn’t have extensions in, but provided the same amount of care. The added layer of protection given by hair extensions can promote natural hair growth. Can I Apply Hair Extensions On My Own? Some shiny hair extensions can be applied on your own, such as clip-ins. However, if you’re looking for more of a permanent solution, then it’s best to leave the installation in the hands of an experienced stylist. We recommend working with a professional to ensure the extensions are installed properly, as well as ensuring your natural hair doesn’t get damaged in the process. 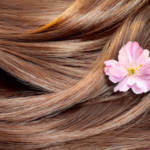 Applying hair extensions can be a little more difficult than it seems, so it’s always better to take the safest route. RemySoft is here to answer all of your burning questions about hair extensions. Whether you need advice on how to care for hair extensions, which ones are best for your hair or anything else, we are the experts you can rely on to help you out. Hair extensions can provide an added element you’ve never had with your hair before, so contact us today to see if they are right for you.